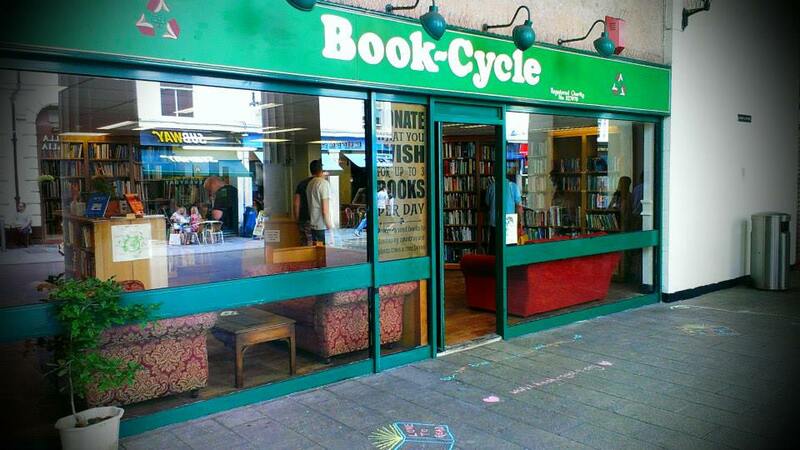 Over the years I’ve seen photos of the quaint Book-Cycle shop in Exeter, UK, but never thought to explore what it was all about until TBTP reader Evan S. suggested a post on the project. Since 2007, Book-Cycle has been quietly collecting book donations and offering them up through a clever model where customers can choose three books and pay what they want. 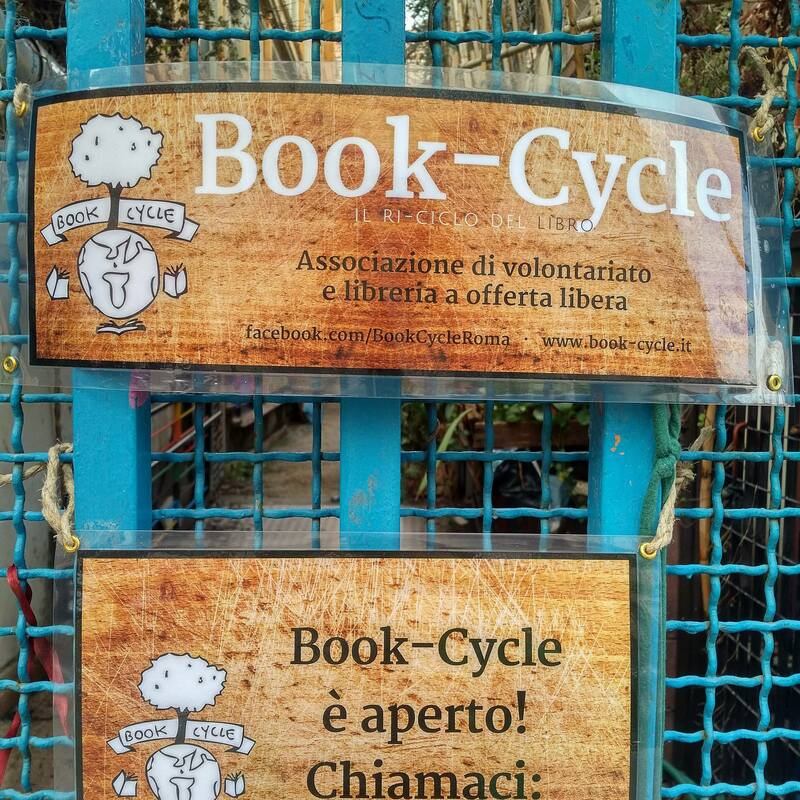 Since Book-Cycle is entirely staffed by volunteers, all of the profits from book sales go to building libraries in schools and orphanages around the world. 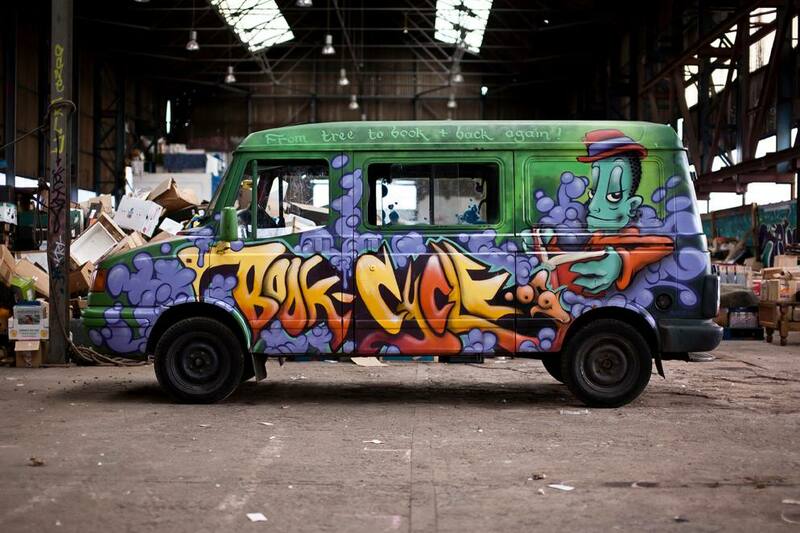 Book-Cycle has three bookstores and a book bus in the UK and another store in Rome, Italy. They also do pop-up bookstores and sales throughout the year to solicit donations and to raise awareness about the project. 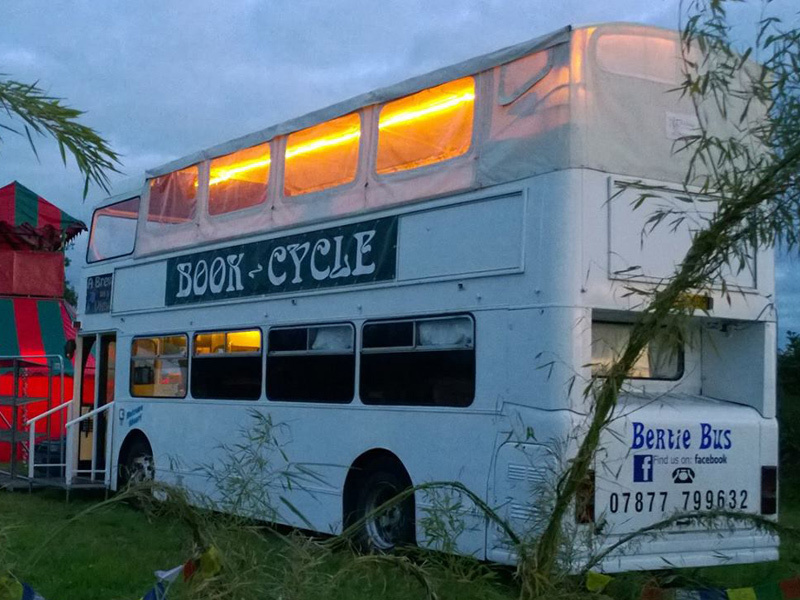 Along with library development work, Book-Cycle has three other important goals. 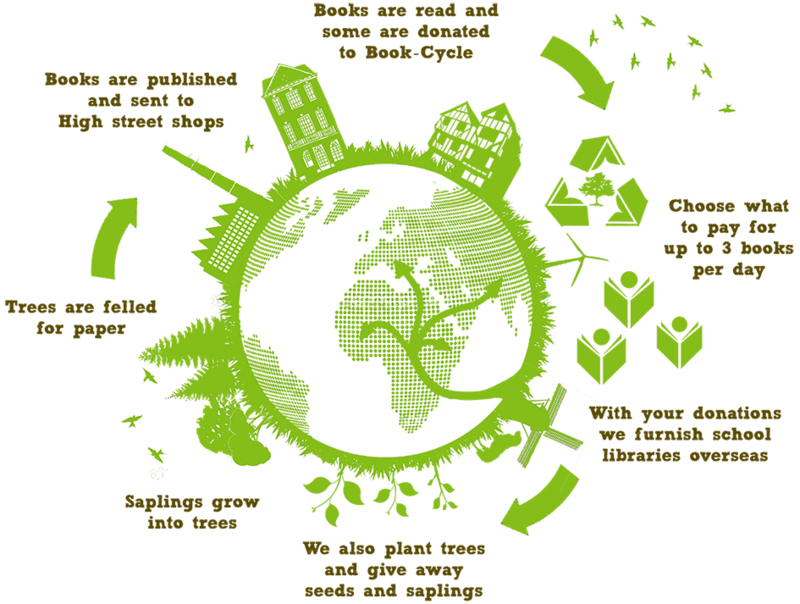 They aim to improve literacy and increase the love of learning, they provide information and tech support on sustainability principles and practices, and they work to reforest Britain through tree planting and seed distribution. 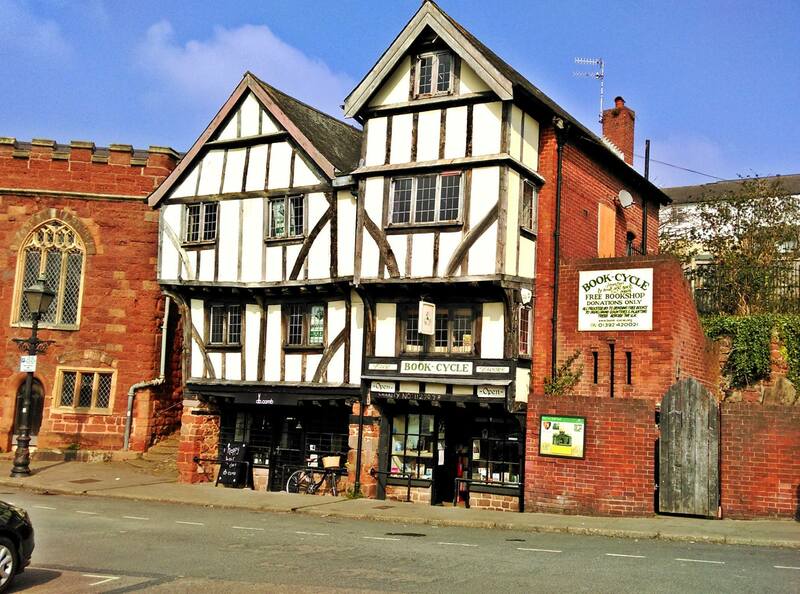 This entry was posted in Africa, Books, Bookstore Tourism, Europe, Libraries and tagged Bookmobiles, Devon, Exeter, recycled books, Rome, United Kingdom. Bookmark the permalink. Brilliant idea. I’ll find out more. Thanks.